We are proud to offer you the chance to ride one on your next round! 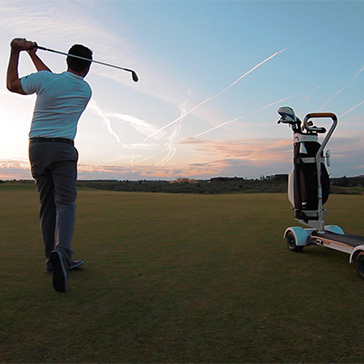 Even if you've never rode a wave or mountain, you'll be able to pick up the GolfBoard in minutes. All we ask is that you fill out this online waiver and watch the safety video before you come to the course. We will give you a quick training before your round, and then it's time for you most entertaining round of golf ever! GolfBoard tee times are booked on a first come - first serve basis. Please note that there is a $10 charge in addition to your green and cart fee. All riders must sign a GolfBoard rider agreement prior to rental. 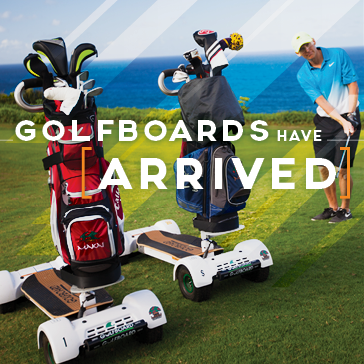 Please see below for the list of GolfBoards courses around Chicago; Click on the course you are looking to surf to download the required liability waiver.